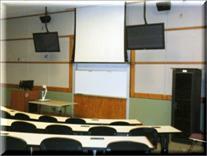 There are currently 7 available video conferencing rooms at Texas A&M International University (TAMIU). *Can be used for academic classes. 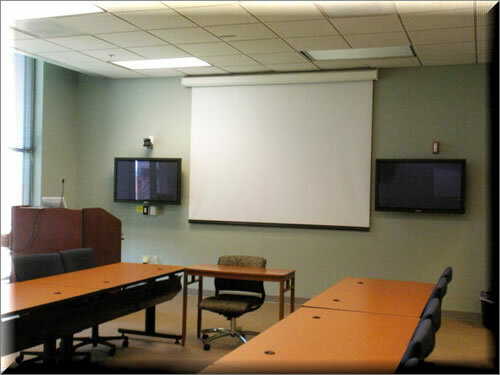 Flat panel monitor(s) and a projector screen that can display the remote or local site for student viewing. Video conferencing camera will be located next to projector screen to display audience to remote site. Flat panel monitor to display the remote site for instructor viewing. Video conferencing camera will be located on back wall to display instructor to remote site. Microphones will be located in the ceiling for open communication with remote site. Projector screen (and flat panel, if available) that can display the remote site for user viewing.